With so many cordless screwdriver options out in the market today, what can an 8V impact screwdriver offer? However, the Porter-Cable PCC842L is not one to be underestimated. This tool may be small, but it can get the job done. It has ten times more speed and twice more torque compared to other models, and its variable speed will give you more control. At a steal of $50, this tool will be able to handle a bigger range of tasks, proving that you are getting so much more than your money’s worth. This impact screwdriver will be able to handle your lightweight fastening needs, but not your heavy ones. It was not designed to drive in long screws, so you have to use more powerful tools for that. Despite its obvious limitations, it can still deliver its purpose for small household jobs. The tool measures 2.63 x 9.38 x 7.5 inches. It is very small and compact and only weighs 2 lbs. Not only is it conveniently small but it also fits securely in your hands and gives you a good grip. Users with arthritis who need to do some repairs will be great benefit from this model. Obviously, it is also particularly useful for small and tight spaces. This impact driver may not look it, but it can definitely do its job. It can deliver 125 in. lbs. of torque and 2,200 RPM. With this speed and torque, this tool will be able to drive in screws without stripping and overdriving them. Assembling furniture, installing shelves and cabinets, and hanging pictures will be a breeze with the PCC842L. You can also use it for little woodwork projects. It may not pack a lot of power, but it is still very useful for a number tasks. Many of Porter-Cable’s power tools use lithium ion batteries, including this model. This kind of battery performs better than its NiCad counterparts. It does not need priming, so it is the most low maintenance variant you can use. Plus, it drains at a slower rate, so less charging is needed in between. It has a longer lifespan than all the other options in the market, meaning fewer battery replacements. The 8V battery pack has a 10.4 hrs. runtime in a single charge. When not in use, it can hold its charge for up to 18 months. You can leave it as it is in between jobs if you only use it sparingly. It will drain at a slow rate, so it is good to go whenever you need it without having to recharge. You also do not have to charge it to its full capacity. Lithium ion does not have the memory effect quality that the NiCad batteries have. The PCC842L has two magnetic bit holders. This gives easy access for the two bits included in the kit. The bit holders are perfect for the quick-load hex chuck. The ¼-inch chuck accepts standards bits too. These features make for easy and hassle-free bit changes. This tool also comes with a built-in LED light. This comes in handy when you need extra illumination. It will light up dark work surfaces and allow you to work through the night. Not only do you get longer hours in a day but you also experience less eyestrain. This screwdriver is equipped with a battery fuel gauge. The indicator will let you know how much charge the battery holds. You can check how much juice your tool has left before starting your tasks. Not all models or brands have this feature, but you will be pleased to know that Porter-Cable does not scrimp on these usually overlooked details. If you are on a tight budget, you will be buying tools that do more than what you pay for. Many tools pack tons of power and smaller tools like the PCC842L is overshadowed by its better-performing counterparts. It is a tough industry and people tend to want the bigger and stronger tools. However, I believe that this impact driver should not be overlooked. It is small and features humble amounts of power, but it is specifically designed that way because it has its own purpose. It is intended for light household tasks though contractors can also get a kick from it when the need arises. Power tools that deliver high torque and speed are not suitable for light tasks. This is where the PCC842L proves to be extremely useful. It will not overload the screws and prevent it from stripping. You can also depend on it for smooth finishes on your furniture and shelving. The PC18ID is an 18V cordless impact driver also from Porter-Cable. It is obviously more powerful than the PCC842L with its 1,600 in. lbs. of max torque. Quite apparently, this tool outperforms not only the major object of this review but a whole lot of other tools. In spite of this aggressive difference in power, the PCC842L should not be discredited for its limitations. Like I said earlier, it has its own specific uses for its capabilities. Delicate tasks require delicate care. Smaller tasks would lie shattered under the weight of the PC18ID. The output power of the two tools are very different, but they also have similar features. They both have built-in LED lights for extra illumination. They also both have variable speed triggers. 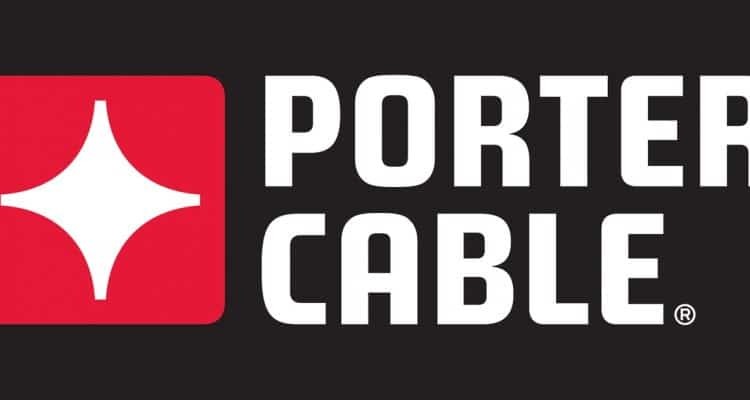 What’s more is they’re both from Porter-Cable which means that you will surely benefit from having both in your arsenal. The company manufactures new models of power tools every year. Some are high-powered and some not so much. While the stronger ones are usually in the spotlight, the smaller ones belong to an eternal niche of necessary tools to have around the house. The PCC842L is a compact and lightweight tool that works best for lightweight jobs. DIYers and homeowners will be able to use this for their general tasks without fear of falling short or overdoing it. It is definitely a must-buy.